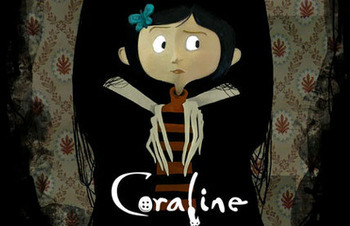 During my stay in Lithuania we went to the cinema to see the film Coraline in 3D. I had not read about the movie much before we went, just a small introduction on introduction on csfd.cz that put the film into Animated / Adventure / Family / Fantasy fairytale genre. In the first half of the film it was true, but after that everything changed into very dark and quite scary (amplified by the 3D projection) show . The humour is mostly black, the film carries slight resemblance to the older film from the director Henry Selick, Nightmare Before Christmas. I cannot do anything else than recommend this film, especially if you will go and see it in 3D. Do not worry, it really is not film just for children . I liked these films very much. All of them are dramas pointing out problems in Danish society, often in a raw and naturalistic way. Since they are very depressing, it is generally not a good idea to watch them one after another (as we did). But still, I can't do anything else than to recommend them.